Clip on lavaliere microphones or lav mics can be a crucial bit of your DSLR video kit. If you’re doing any interviews or documentary film work with a documentary film DSLR, having a wireless lav is essential, and if you’re making narrative (fictional) work, wireless lav mics can be useful too– they just have to be hidden. Not all wireless lavaliere microphones work with DSLRs out of the box though– some require expensive and heavy DSLR audio adapters, so you may want a lav that works with DSLR cameras to begin with. Inside the film and video community, the Sennheiser G3/G4 has a great reputation for being an affordable workhorse. The G3 wireless lav system has been used on countless films, television broadcasts, documentary films and feature films. The G3 lav mic works with DSLR cameras quite well: the kit comes with two different camera connect options. The first one is for bigger XLR based cameras, but the second is for a standard 3.5mm (1/8th inch) DSLR audio jack. The G3 wireless lav very well with Canon DSLRs, Panasonic DSLRs, Sony DSLRs, Nikon DSLRS and others, and runs on standard AA batteries. The AVX wireless lav mic from Sennheiser is the newer, bigger brother to the G3. It offers a few upgrades such as a more compact receiver unit that plugs directly into XLR inputs on full size cameras (don’t worry; it also comes with an XLR to 1/8th inch adapter cable for DSLR use and a mount to attach the receiver on your DSLR camera’s shoe). It also has custom rechargeable batteries which can last longer than AAs (you can also get replacement batteries for the bodypack transmitter and receiver that swap out quickly– faster than AAs do if you’re in the middle of a run and gun shooting situation. You can also charge them with a USB micro charger battery pack). Sony’s professional lav mic is the inscrutably named UWPD 11/42. 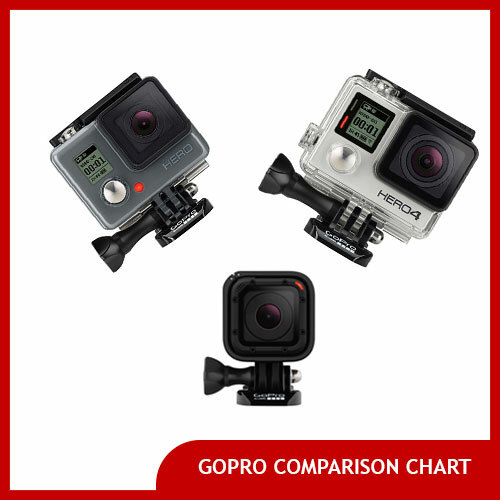 It’s midrange in terms of price and features an omni directional microphone, a body-pack transmitter and a receiver which plugs into either your traditional video camera or DSLR (it comes with both XLR pro audio outputs as well as a 3.5mm mic jack). This Sony lav mic also has great range, due in part to the dual antennas on the receiver, which can be positioned in different directions to pick up the mic’s transmission. 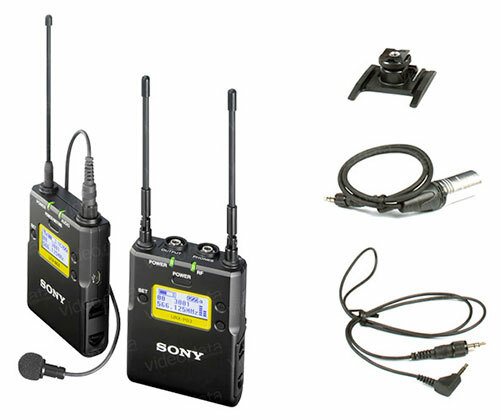 Like many other wireless lavalieres, the Sony UWPD11/42 allows you to select a custom frequency in case there is wireless signal interference in the area you are filming in. It also features a rather unique and convenient free-channel scanning feature which automatically selects a frequency range that is quiet. Movo makes budget-friendly wireless lavs like the WMIC70, which works well with DSLR cameras like the Canon 5D, 7D Sony A7, Panasonic GH3 & GH4 and many others. The Movo WMIC70 offers a wireless range of up to 328 feet and offers an XLR to camera cable as well as a 1/8th inch (3.5mm) to camera cable for using this lavaliere microphone with DSLR cameras. It also comes with mounting gear needed to mount the receiver unit on top of your DSLR camera. Runs off of standard AA batteries. The Movo WMIC70 also has a cheaper younger brother model, the WMIC50 wireless lav which is about half the price and half the wireless range. Unlike the more expensive ’70 model though, it lacks the ability to switch RF channels though so if you run into wireless interference, you’ll be out of luck unless you leave the area. It also doesn’t have an XLR out adapter so if you want to use it with a traditional pro video camera, you’ll be out of luck– it only works with DSLRs. Generally speaking omni directional lav mics are more forgiving than directional ones, when it comes to how you mount them on your subject. Another advantage to omni directional lavs, which pick up sound from every direction instead of just “up” is that in some situations you will want to capture sound beyond just what the person who is mic’d up says. For instance, let’s say you put a wireless lavalier on your subject and follow them around as they give you a tour of the office they work at. With an omni directional lav you’ll also be able to pick up the sound of their coworker asking them a question for instance, if they’re close together. Directional lavs are more often used in studio environments where everything is controlled (imagine the lavs that news anchors wear on the evening news for instance). Every lav mic for DSLR listed on this page are omni directional lavaliere microphones. In the 1990s and early 2000s there was a significant size and price difference between wireless lav microphones and their wired cousins. The reliability of wireless microphone transmitters was also quite lower back then, as well as the battery life that they afforded. Today with the price of good quality lavs like the Sennheiser G3 down and the range and abilities of wireless transmitters up, we have no hesitation recommending wireless lavs for DSLR shooting. There may still be some locations where wireless transmitting equipment is still discouraged however, like certain restricted areas in hospitals however. With lower price, convenience, and reliability of modern wireless lavs today however, we don’t have any qualms suggesting them over wired lavs. Generally speaking lavaliers are great microphones to use in interviews. There are a couple of reasons why you might consider a shotgun microphone mounted on a suspended boom pole however to capture interview sound. For instance, if your interview subject speaks with their hands a lot, you might prefer a shotgun mic suspended above them so that they don’t accidentally hit the microphone. Or maybe you have one interview setup and you’ll be doing short rapid-fire interviews with ten people in a single hour. The time saved by not rigging each person up with a lav mic and simply having them each take a turn in the hot seat with the shotgun mic above them can be valuable. Finally, if you’re picky about hiding a lavalier microphone so it doesn’t appear on camera, you may want to use a shotgun microphone instead. See our related article how to connect a boom microphone to a DSLR camera for more information on that. How to use a lavalier microphone with a DSLR? 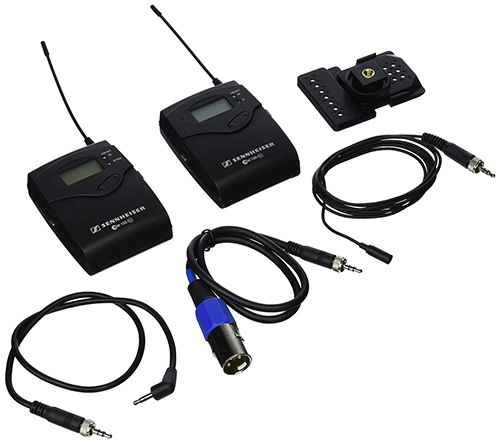 Many lavalier microphones, like those listed in this article, offer two types of outputs to hook up to your camera: large professional grade XLR inputs (round with three pins) and 1/8th inch minijack for DSLRs. To connect your lav to a DSLR, use these smaller 3.5mm jack inputs to connect to your DLSR’s microphone port (which is the size of a normal headphone jack). Which lavalier microphone is the best? Although all the lapel microphones featured in this article can yield good quality, we’d argue that some of the absolute best lav mics are made by Sennheiser. Their Sennheiser G3 and higher end updated AVX lav system are industry standard wireless microphones used by filmmakers, video-makers, and TV journalists alike. What makes them so great? They offer a good range and plenty of channel options to avoid radio interference. Plus they’re simple to operate and durable– these things can take a beating. Although you still don’t want to be dropping them all the time, they’re professional grade gear used all around the world. A lavalier microphone is a small lapel mic that clips on to a person’s shirt. 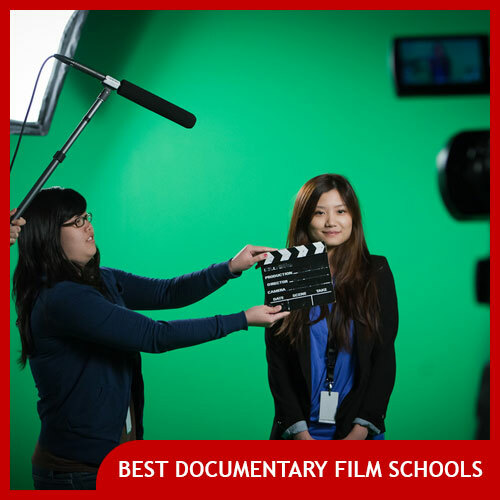 They’re commonly used in film and video, especially when a person is being interviewed in documentary film or on television. Since lavalier mics are mounted on a person’s body, they capture sound from very close to them when they speak. This means we hear crisp sound as if we were standing right next to them, even though the camera might be 20 feet away (so the onboard microphone won’t capture their speech as clearly). How do you pronounce lavalier? In the United States, the word lavalier is generally pronounced “lav-uh-leer,” (as opposed to the French sounding “lav-al-li-yey”). What is the best low budget lavalier mic? 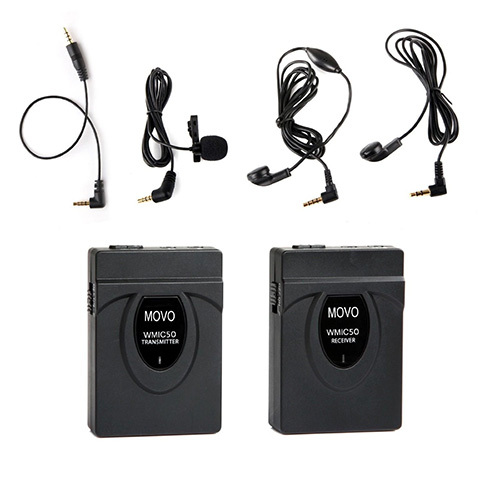 The Movo WMIC70 is getting great reviews and many people believe it’s the best cheap lavalier mic for DSLRs or camcorders. It provides you with audio outputs for both XLR (pro level 3 pin audio) and 3.5mm minijack for headphone-style audio input ports on a camcorder or DSLR. 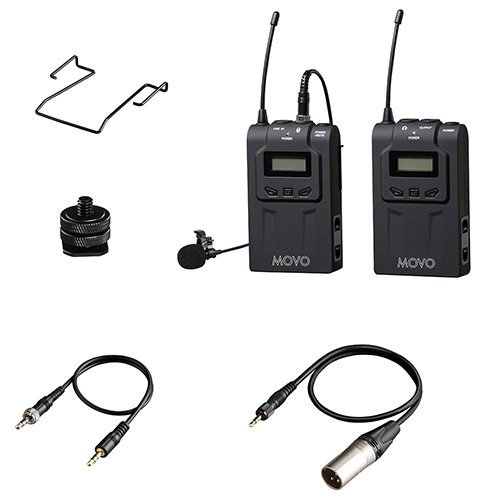 The Movo is one of the best interview lavaliers on a budget, as well as one of the best lavalier mic for camcorders. What is the best lavalier for documentary filmmaking? We’d argue the best lavalier for documentary is the Sennheiser G3. 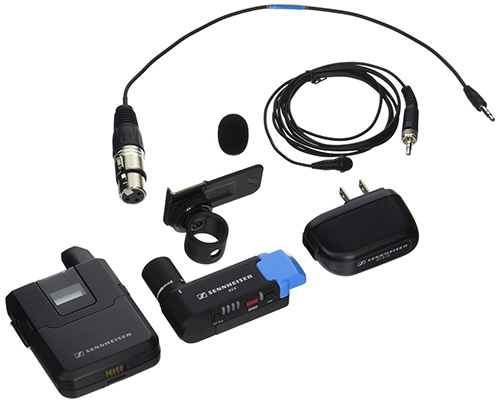 It works with both DSLRs/camcorders and professional video cameras with XLR audio inputs. It features rock solid sound quality, a good wireless range, plenty of channels to choose from and a rugged professional build quality. It uses AA batteries– two for the transmitter and two for the receiver unit. If you want a greater wireless range, special features and reusable battery packs, consider Sennheiser’s higher end updated AVX lav system. It’s more pricey than the Sennheiser G3 but it’s also where the future of interview lavaliers are headed. 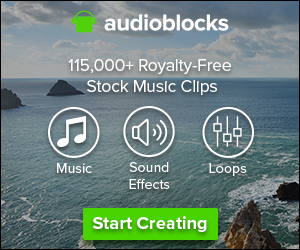 Previous Post: What are the Best Voiceover Microphones for Narration? 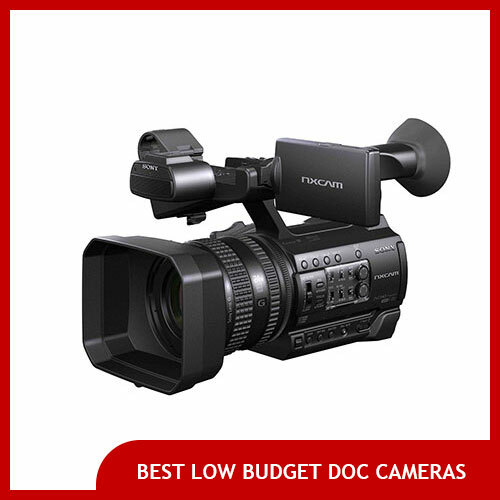 Next Post: What is the Best Cheap Documentary Camera for Filmmaking in 2019?